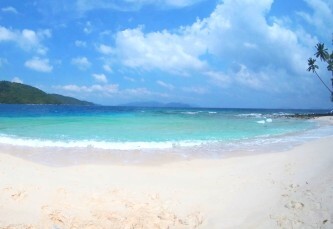 At barely a few hours from Singapore lies a virtually undiscovered Land of Enchantment called Anambas. Looking for a unique long weekend getaway? This. Is. It. Sound too good to be true? Welcome to Amazing Anambas, a hitherto as good as unknown Land of Enchantment blessed with timeless bounty islands, most of which uninhabited, all of which just aching to be explored. And yes, at practically a stone's throw from Singapore. If you've never heard of Anambas, worry not, you're not the only one. This somewhat hidden and almost mystical island archipelago has pretty much been languishing offshore from Singapore ever since the 1500's, when its lush islands were considered an ideal stop-over for the merchant vessels travelling between East and West. Ever since then, the 200 or so idyllic islands that comprise Anambas have been basking in the tropical sun and balmy sea, patiently awaiting their discovery by modern-day travelers with a yearning for unique final frontier and off the beaten track treasure islands. 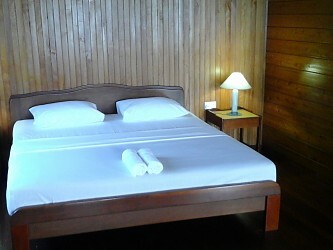 Anambas is ideal for a long weekend of being completely isolated from the hustle and bustle of Singapore. In fact, when you reach the Anambas islands, you'll feel like you've stepped back into time. The pace of life is slow, lazy even. There's no rush to do anything, no queues, no traffic jams - in fact, no traffic to speak of at all. Settle down in your tastefully designed resort room, floating above a colorful coral-garden and surrounded by some of the bluest sea water you'll ever see, yet with all the hotel amenities and convenient trimmings you could wish for. Your comfortable home-away-from-home is the perfect spot to plan your island-hopping excursion, deep-sea angling trip or snorkeling adventure. 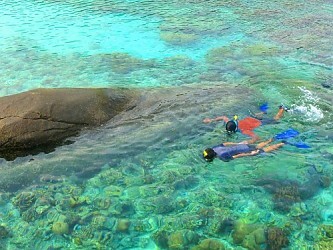 You can also come face to face with the sea turtles that nest on the Anambas islands, or go for an SUP paddle across a stunning blue lagoon, or enjoy an unbelievable beach BBQ, just you and your loved one, or try an adventurous jungle hike with a chance to see the world's largest flower, Rafflesia, in bloom. It's hard to believe that such an authentic, untouched and blissful little paradise still exists in South-east Asia, especially when you consider that Anambas is barely 250 kilometers away from Singapore. Whatever you choose to do on your long weekend in Amazing Anambas, it's safe to say that it will be memorable.